If you’re looking to travel the seas, look no further than Star Cruises - the leading cruise line in Asia Pacific and the third largest cruise operator in the world. 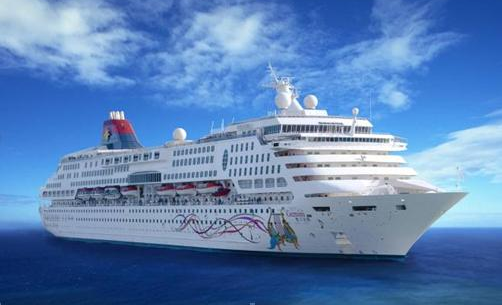 Star Cruises welcomes passengers of all ages for a fun-tastic time with the entire family. Star Cruises decked with state-of-the-art amenities, from swimming pools to lavish restaurants, outdoor BBQ, karaoke to cabaret, the Star Cruises ‘SuperStar’cruise ships has your interests covered, as you experience the myriad pleasures of cruising the high seas of the Asia Pacific and beyond. So come let these Star Cruises luxurious mega ships whisks you away to your dream vacation – both on water or land! WTS Travel offers many coach/cruise or fly/cruise packages that offer you the excitement of land excursion and relaxation of a cruise. Whether you’re looking for something as simple as a day trip to the sun-kissed southern islands, to luxurious seasonal cruises to far-flung places of antiquity or a quick one-night getaway cruise to nowhere, you’ll find it all here with Star Cruise. For more information on WTS Travel’s splashing good deals on Star Cruises and its other exciting itineraries, click on the links below. SuperStar Gemini takes you to some of the most enchanting destinations in Asia-Pacific. Come on board and experience a myriad of activities. There is never a dull moment onboard this luxurious liner as she offers you the best in comprehensive facilities, entertainment, recreation activities coupled with informality and flexibility for the discerning modern holiday-maker. Super Star Virgo offers so much more than first class dining and entertainment - it takes you to places where the sun, sea, people and culture blend colourfully well. Every deck on board Super Star Virgo teems with endless fun, entertainment and activities. As you cruise to the most exotic parts of Asia on this floating five-star resort, its more than 25 outlets of food and beverage, entertainment and recreation outlets will impress you. Super Star Libra is designed to meet the changing needs of today’s passengers, challenging the conventional model of cruising by providing a more relaxed, resort-style cruise, complete with flexibility and non-intrusive services of the highest standard. Escape the stress of everyday life, as Super Star Libra brings you to a world-class exclusive floating resort in the high seas offering you an impressive array of facilities, entertainment, recreational activities and services coupled with warm Asian hospitality, which have become the hallmarks of Star Cruises. Discover the magic when you cruise on board the Superstar Aquarius and experience new sights and sounds when you sail the 50,760 gross tonne ship. Come on board and enjoy a multitude of gourmet cuisine, world-class entertainment and great relaxing options that appeal to a whole range of holidaymakers be it families, honeymooners, senior citizens and even incentives and business groups. If you are looking for a short getaway, Star Pisces is for you! Its 12 storeys of activities and relaxation will definitely grant you that refreshing break you deserve.